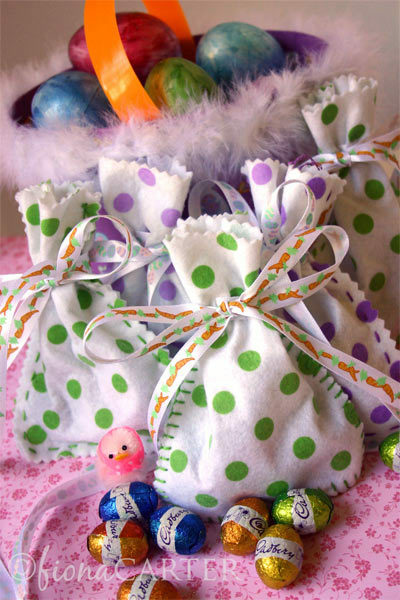 These are very quick and easy felt bags which can hold several little chocolate eggs. You can obviously make them bigger or smaller depending upon your chocolate easter egg needs :-)) Materials used: felt, embroidery thread and ribbon. 1. 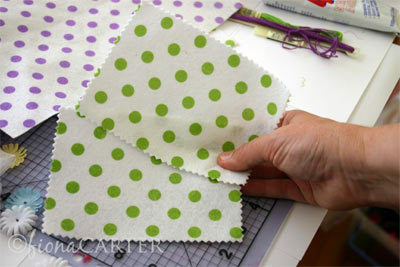 Cut two pieces of felt. My pieces were about 10.5cm x 14.5cm. They were this size as I was able to cut four pieces from a small piece of felt (the size which is sold in craft stores). 2. 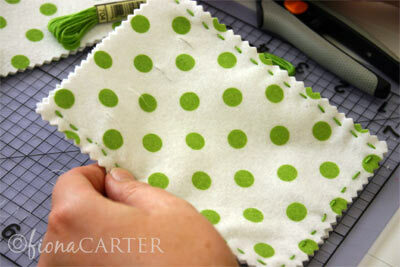 Cut four slits into each piece of felt, approximately 3cm - 4cm from the top edge. 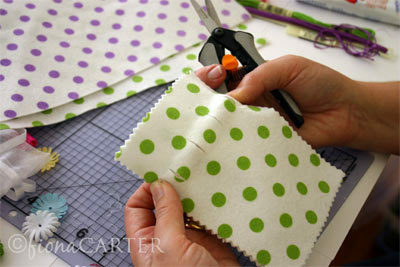 These become the slits for threading the ribbon in a later step. 3. 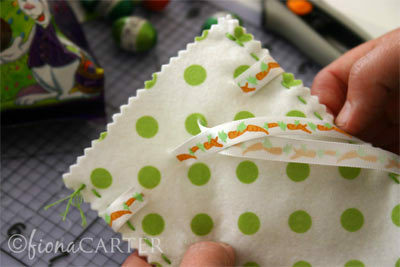 Sew around three edges of the bag. 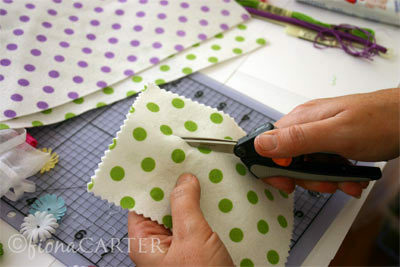 You can use running stitch or blanket stitch. 4. 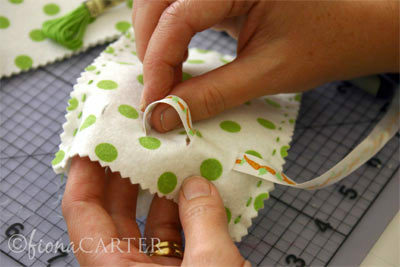 Now thread a length of ribbon through the slits around the whole bag. 5. 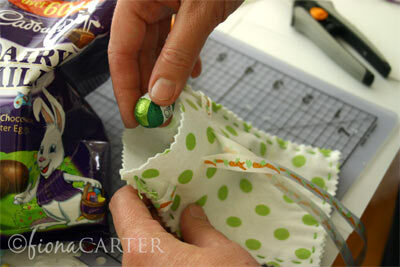 Bring the ends of the ribbon through to the outside of the bag. 6. 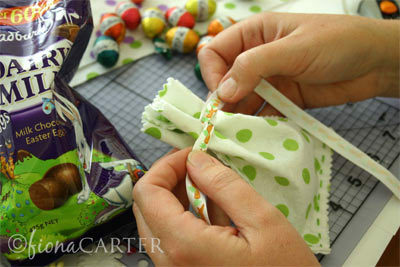 Fill bag with chocolate Easter eggs. 7. 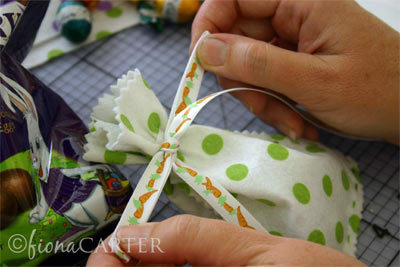 Pull the ribbon tightly to close bag and wrap the ribbon round the bag to the opposite side. 8. Tie a bow with the ribbon. That's all there is to it. These would be easy for the kids to make too. Sophia decorated her chocolate Easter eggs. Trishia covered her eggs with tissue paper. Mel has also shared some decorated eggs and a very cute bunny. I'm going to send out a pack of ribbon to you ladies. If you'd like to email me with your favourite colour/s and I'll try to accommodate you with some ribbons. Hope you have a great week, and I'll be back with another Easter project very soon. 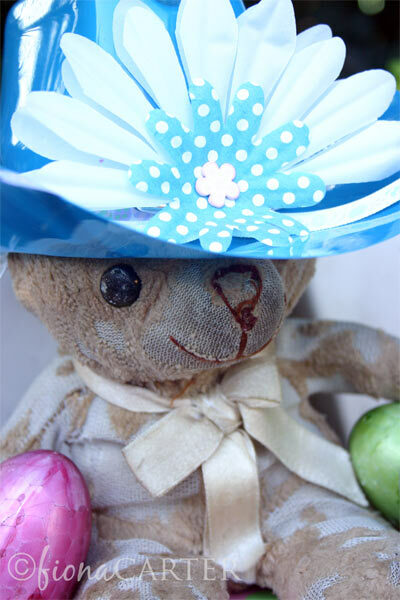 PS: the bunnies have had their photo shoot, but Marty bear kept stealing their Easter hats. Will post some photos when I've sorted through them.